This is the perfect time of year to be in Brittany. 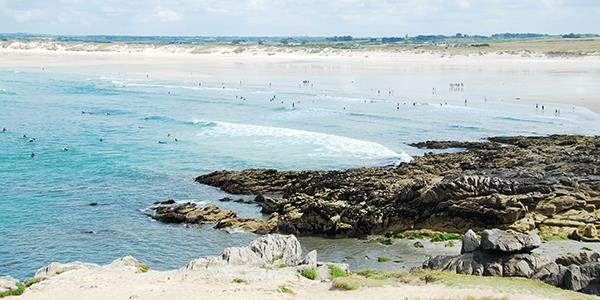 The Pointe de la Torche is a fantastic little beauty spot located on a headland protruding from the west coast of Finistère. It's a real hotspot for surfers, with the pretty beach catching good sized waves, and easily accessed by a footpath. It is a little rough in the water for swimming, but walkers find the footpaths lovely, and the beach is a long stretch of unbroken sand curving around the coastline into the Bay of Audierne. The Pointe de la Torche is also a brilliant area for nature and the dunes and marshes behind the coastline are protected for their invertebrates and the birdlife that lives here. What is, perhaps, the most eye catching however is the spring flowers. Thanks to the sandy soil, this area is perfect for tulips and hyacinths, both of which flourish in well-drained areas. Come springtime the surroundings are carpeted in great swathes of these vibrant flowers. 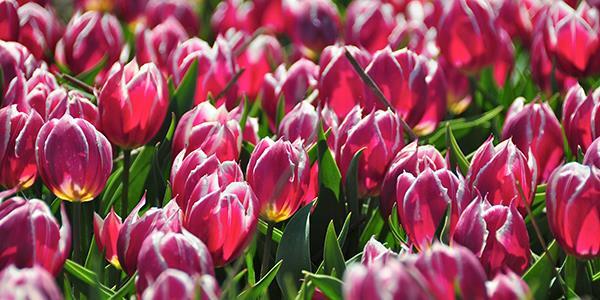 Tulips are cultivated here from the nearby fields and they make for a spectacular, colourful sight. Throughout March and April the flowers are particularly wonderful and there is even a Fête des Fleurs that takes place each year with Sarl Kaandorp, the agricultural company that cultivates the flowers. In 2017 the festival runs from 25th March to 22nd April and includes a 5km hike through the flower fields. Check the website out here. You can find the peninsula roughly half an hour from Hilguy so it is certainly worth a visit if you're staying there this spring. Find out how to stay at Le Manoir du Hilguy by entering your details at the bottom of the page to receive a free brochure.